The International Partnerships Mission Action Community (MAC) builds relationships with sister churches and non-government organizations around the world. The MAC organizes international mission trips and seeks ways to promote justice and awareness in the global community. 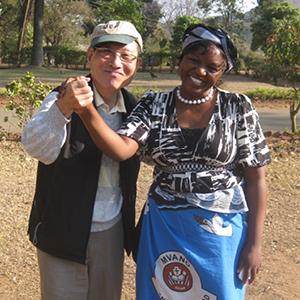 Shadyside Presbyterian Church has partnered with Malawi for more than twenty years. Over the years, we have led five mission trips to this region, developing and sustaining several partner projects. Three of our most significant partnerships are briefly explained below. Download a PDF containing more details about our involvement in Malawi. Soche Church, located in the Blantyre Synod, is a sister church of Shadyside. These two churches have been in partnership for more than twenty years. Projects completed together include a new church construction, the completion of a church manse, and a community kitchen which serves both congregation and community members. In addition, we have hosted multiple members of Soche Church in Pittsburgh, most recently in conjunction with Shadyside’s 150th anniversary celebration in October 2016. Shadyside Presbyterian funded the Malawian vision of a hospital in Mulanje. This hospital serves as multifunctional facility. In addition to the hospital, Shadyside helped coordinate efforts to fund a nursing students’ dormitory called the “Emily House.” This dormitory was erected in memory of Emily Dorrance, who visited this region on a short-term mission. In Malawi, a child is considered an orphan if the breadwinner of the family has died. Many of these Malawian orphans either live with their mothers or with extended family members. The challenge for these single parent families is that the adult cannot leave the home for work because s/he must care for the child. Under the leadership of the Blantyre Synod, Shadyside is constructing Orphan Day Care centers so that children will have a safe and loving environment in which to stay while the adult caretaker is at work. SPC has completed three of these centers and is currently assessing the need for a center in Soche. CYN exists to serve as an international mission organization fostering the planting, partnering, and networking of relational, Christ-centered youth ministry to the ends that youth can be introduced to the Gospel and grow into a mature relationship with Christ. Shadyside has supported this ministry since founded by Dan and Kelly Weightman, who are native to Pittsburgh. Members from Shadyside have partnered with this ministry through short-term mission trips, and our campus ministry had an extremely successful trip to visit and work alongside this organization in March 2014. Our mission partner Urban Mosaic is working to eradicate injustice, poverty, and spiritual emptiness in the urban slums of the Chimalhuacan region of Mexico City. Founded in 2005, Urban Mosaic, led by Jean-Luc Krieg, has planted several house churches, is training and accompanying local pastors in holistic ministry, leading evangelistic Bible studies, training emerging youth leaders and facilitating the growth of a new organization of residents who are organizing around community issues. Members from Shadyside visited this ministry in 2009 and have committed to support their healthcare initiative, called ProSalud. Since the commitment, ten teams have traveled to the Chimalhuacan region, providing construction, educational, and medical services to several slum communities in Central Mexico. Our most recent project with Urban Mosaic involves a major financial commitment over three consecutive years to develop CentroRenovar, a retreat center in the mountains northeast of Mexico City. This project will involve multiple opportunities for service including construction trips. Download a PDF containing a feature story written about Urban Mosaic’s work in Chimalhuacan. In 1924, Shadyside built a hospital in the Shantung Province of China. The hospital was part of a larger mission compound that, since, has become a very historical site. This compound was used as an internment camp during World War II (Langdon Gilkey’s book, Shantung Compound, highlights his experience in this internment camp). This hospital is now a historical site, surrounded by Shadyside Park. In an attempt to renew and restore our relationships in this region, various teams from Shadyside have traveled to China, most recently in October 2015 for our fifth visit. Highlights of this relationship include exploring a historic culture, reliving our own history, and continuing discussions with a church in Wei Hei to enable us to walk alongside the growing Christianity of China. Promised Land Ministries is a multifaceted mission ministry based in Guatemala City. Shadyside has partnered with their Spring of Hope mission, which provides educational services and a feeding program to some of the poorest children in the Lake Atitlan region. Shadyside also helps to support the Genesareth Medical Clinic, based in San Lucas Toliman. Members from Shadyside have traveled three times to this region, conducting medical clinics in partnership with the Genesareth Clinic and providing Vacation Bible Schools for the children of Spring of Hope. In addition, Shadyside members sponsor the education costs for thirty-one students attending the Promised Land School. (Opportunities are available for individuals to sponsor students; download a PDF with more information.) Shadyside has hosted Director Jorge Santizo twice in the past, and looks forward to our next trip to work with these beautiful people. Paul Lundblad, while studying linguistics at the University of Pittsburgh, attended Shadyside Presbyterian Church and became active in our college ministry program. His time at SPC helped him to develop a vision for his mission commitment. 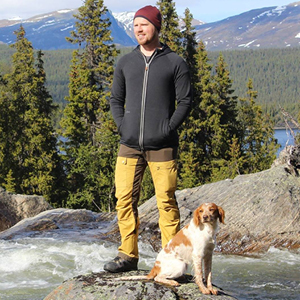 In early 2013, he moved to northern Sweden to work with youth in the town of Vilhelmina.